As a busy and important person I’m always looking for ways to achieve the maximum results in the minimum time. As any of my ex’s will testify I have a very short attention span and get easily distracted. Gyms are great to be fair, but I often get distracted between checking myself out in all the mirrors or constantly being flirted with by female patrons. Sometimes being this good looking is as much of a curse as a blessing. 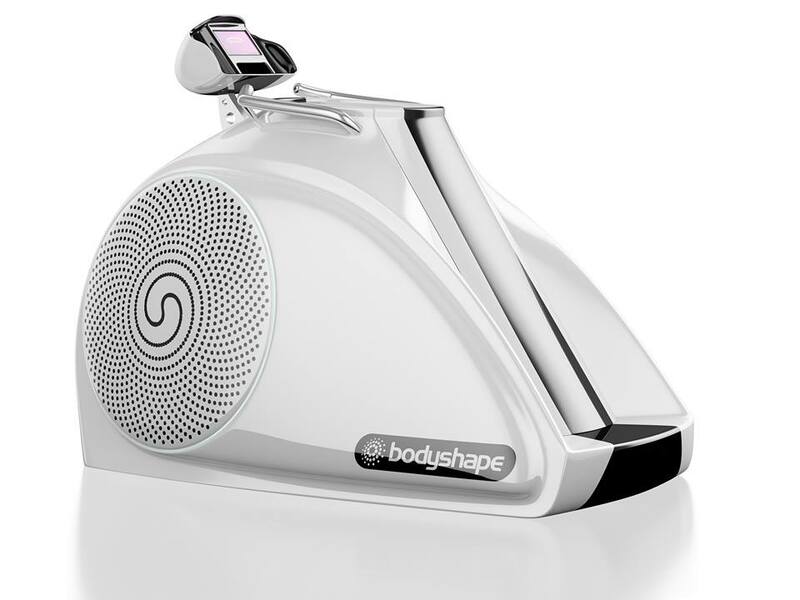 When a friend told me about the new BodyShape treadmill in Platinum Tanning Studio I knew I had to investigate it more. Race week is almost upon us and like any of the top stallions that will be paraded in Ballybrit I was searching for any last minute enhancements available. I have to say Platinum is such a nice modern studio and the staff couldn’t be more friendly. So I booked my first session and rocked up on Thursday to give it a go. After some online research and a discussion with the lovely Ellie I was looking forward to testing this machine out. Essentially it’s a treadmill in a box. Nothing too revolutionary there but as I always say it’s about what’s in the box that counts. Infrared lights and an air vacuum combine to multiply the effectiveness of this workout compared to a traditional treadmill. So I’ve done a bit of research and Bodyshape could be the way forward, especially in Ireland. Sunlight consists of visible, UV and infrared light. Human cells, when exposed to sunlight, have certain chemical reactions. For example, when you are exposed to UV, you produce Vitamin D. Apologies if I’ve lost any of you here, sunlight is a phenomenon experienced in other countries when clouds disappear and a large yellow object in the sky makes everywhere warm. Google it if you don’t believe me. Another reaction is the affect of near-infrared light. When cells are exposed to certain wavelengths of near-infrared light, the mitochondria produces more energy, or adenosine triphosphate (ATP). This ATP is what powers every muscle in your body. If you exercise while exposed to near-infrared, you increase metabolism and burn more calories while having increased energy. The increased circulation will accelerate the body’s natural detoxification processes and will benefit the connective tissue in the subcutaneous layer, therefore, reducing cellulite. That’s an outcome we can all benefit from. I see a potential sponsorship deal of the next Daniel O Donnell on the cards. Infrared also increases flexibility and can significantly reduce pain from bad joints or a bad back when exercising. I lost over 3500 calories in my half our workout and I sweated like a barman during race week, I felt great after the session. €15 per session isn’t bad either but €100 for ten session is cracking value. Check it out for yourself and tell them the Player sent you….